Audio Terrorist is Indie Electronica Rock at its finest! 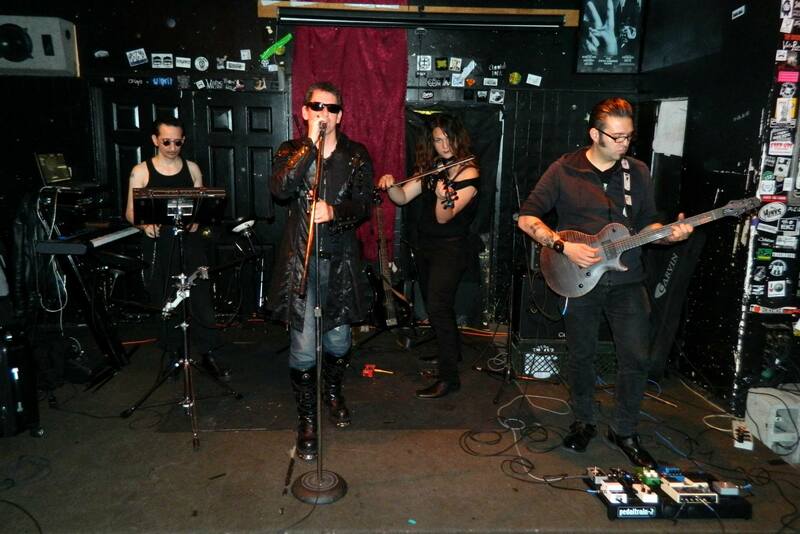 Fans of Depeche Mode, Peter Murphy, Sisters of Mercy, and even The Doors will find a kindred spirit in this San Francisco Bay Area band. We take electronic music to a new level blended with rich rock-influenced vocals, techno-laced dance beats, and a retro New Wave flair. Audio Terrorist has shared the stage with Jodie Watley, Lisa Lisa, Chaka Khan, Lipstick Conspiracy, San Jose DJ Neshama and Bay Area Celtic rock band Avalon Rising.They have been featured on musicresearch.com and Pirate Cat Radio, showcased on Frank Moore’s Shamans Den and contributed music to the soundtrack for Cleo Dubois’ video,Tie me up! and House of Hunt performances. Audio Terrorist is available for club gigs, events and private parties ~ think outside the playlist! The show is high energy and the band is professional, fetish and queer-event friendly and ready to perform! For booking info or tech specs, please contact Kalib by phone or text message: (510) 499-7164.